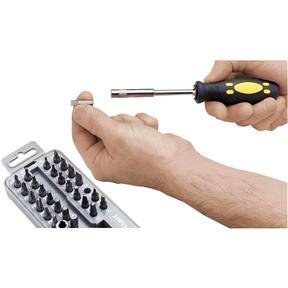 Ergonomic handle produces tremendous torque and features a magnetic socket tip for interchanging hex bits and adapters. 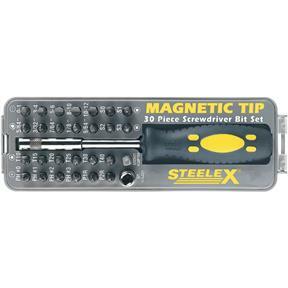 Magnetic force holds screws on the bit for third-hand convenience. 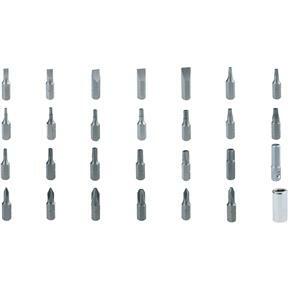 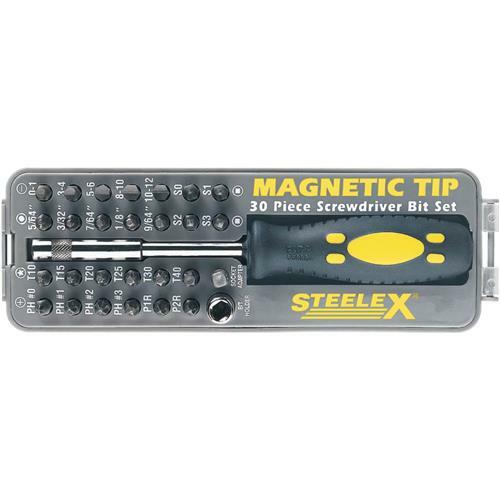 Includes 26 bits of assorted sizes like Phillips®, straight, Torx®, hex drive and square drive, plus a 1/4" socket adapter, bit holder, and case.